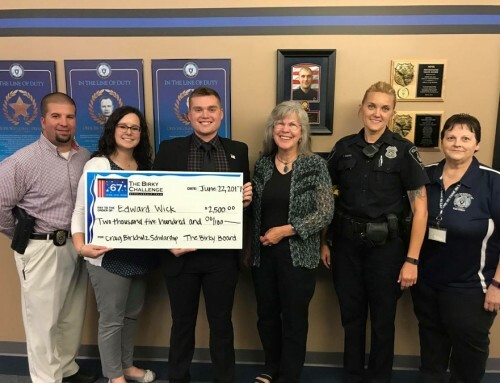 Trey Johnson, a Fox Valley Technical College Police Science student, was recently awarded the annual Craig Birkholz College Scholarship. 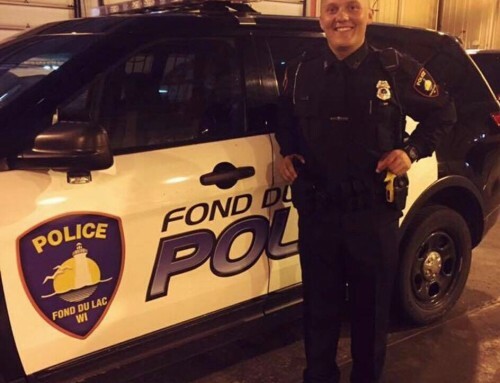 Trey was recently awarded the $2,500 scholarship at the Fond du Lac Police Department. Pictured (From left to right): Lt. Ed Wenzel, Ofc. Kari Gordee, Joe Braun of the FDL Area Foundation, Trey Johnson, and Gay Birkholz & William Birkholz. 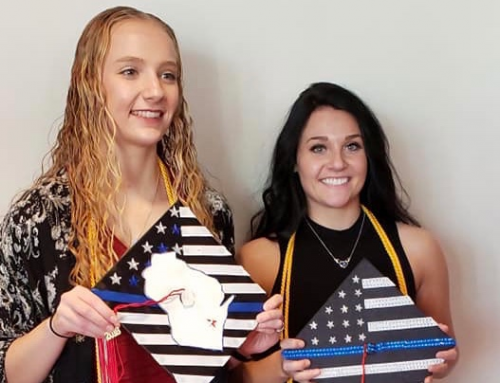 The Birky Challenge Scholarship Team awards an annual scholarship to graduates of a high school in Fond du Lac or Kenosha County who are enrolled in a Wisconsin based college and pursuing either a two-year or four-year degree in Police Science or Criminal Justice. Wearing Badge #67, Craig Birkholz was a City of Fond du Lac Police Officer who was killed in the line of duty on March 20, 2011. 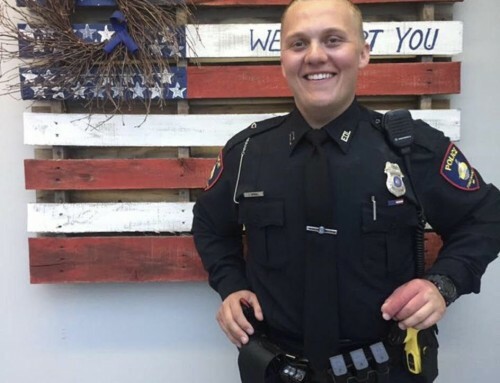 He was a military veteran, a good husband and a dedicated police officer. 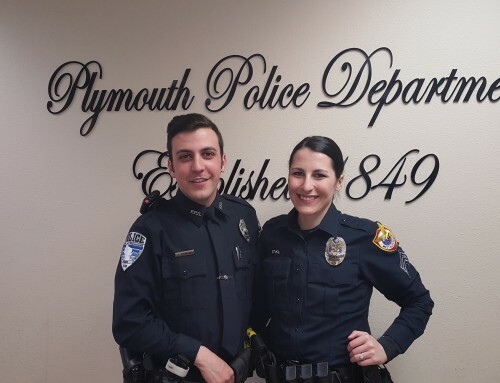 Craig was an example of dedication to his job, commitment to good physical conditioning, and used care and compassion in carrying out his role as a police officer.